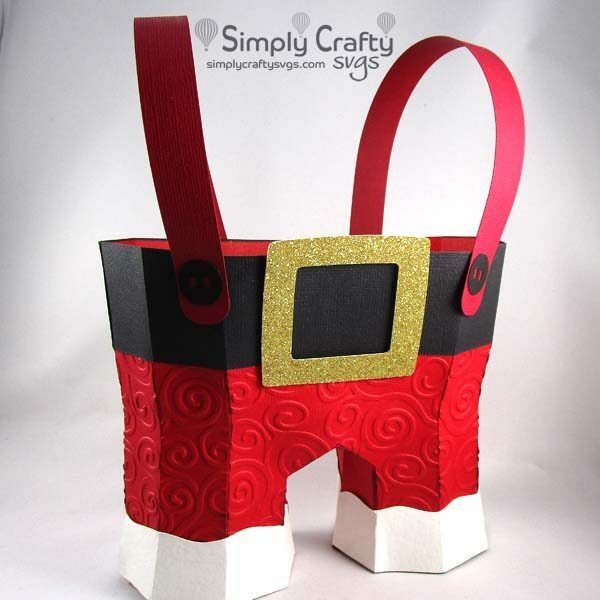 Box shaped like Santa pants with suspenders. Use the 3D Santa’s Pants SVG file to make a fun Christmas table decoration with greenery. 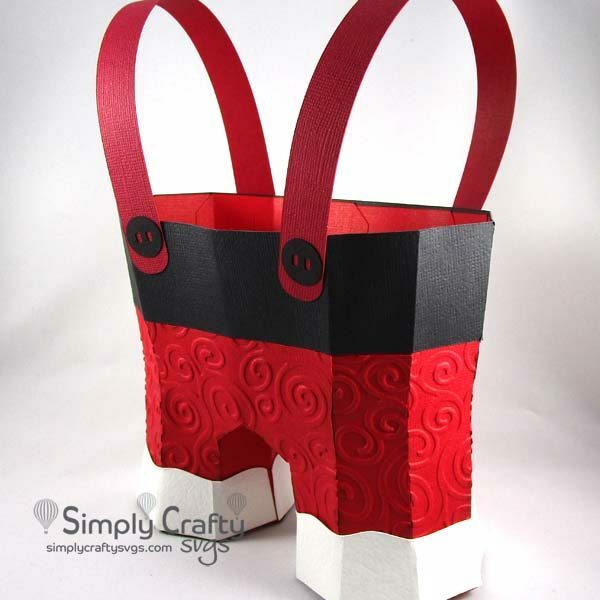 It is also a fun box to add a few small Christmas gifts! Box is reminiscent of a bottom piece of a Santa Suit with suspenders! Finished pants without suspenders is 6.5″w x 3″d x 5.25″h. With suspenders, it is @ 8.25″ tall. 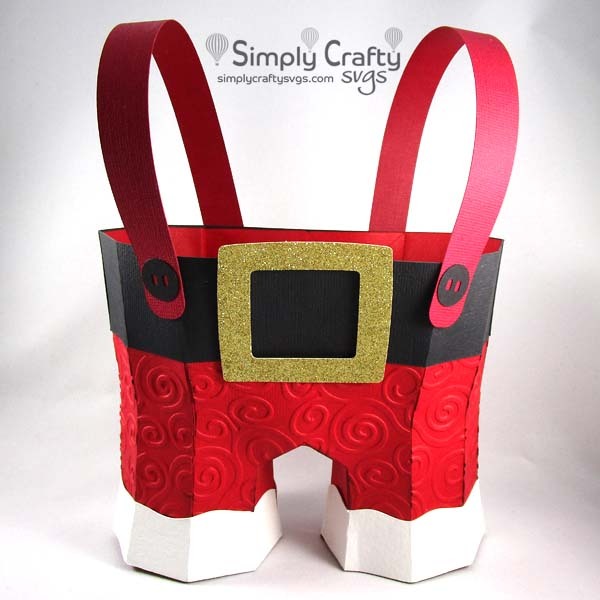 Santa’s Pants without panels requires (3) 12″ x 12″ cardstock sheets. Smaller paper can be used for panels.